We offer ultimate solution for all kinds of Rose Plants. It is believed the gardening of rose is one of the most troublesome affairs as these thorny Rose Flower Plants requires much maintenance and pampering with weekly sprays and frequent fertilizing. Our Indoor Rose Plants require little maintenance as they are of the finest quality. 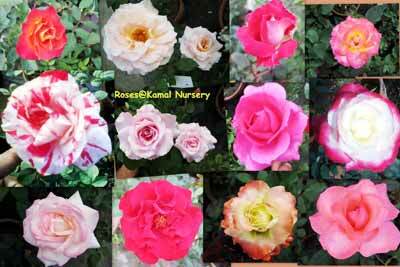 We offer about 1000 rose of all types in our garden. Yellow Rose Plants are one of them. Besides, we are counted among the most distinguished Wholesale Rose Plants Suppliers in India.